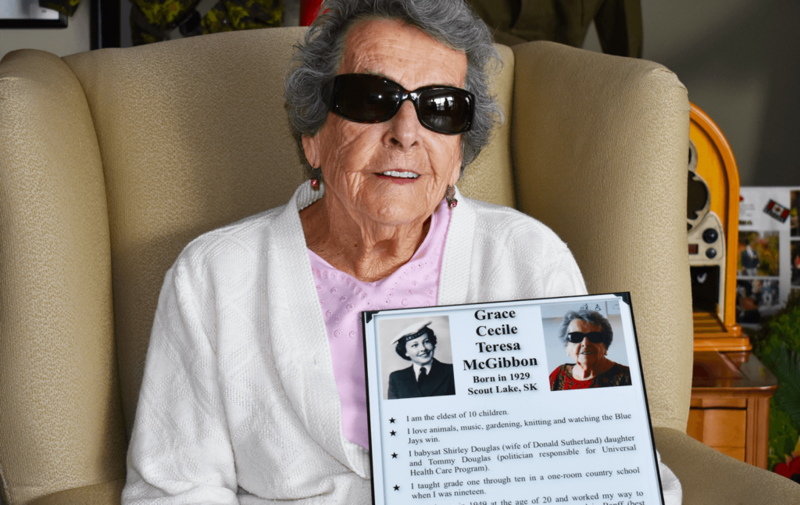 When Grace Cecile Teresa McGibbon moved into Providence Manor she signed up for the Resident Life Story Project. If you’ve ever walked down the halls of Providence Manor you may have noticed little biographies hanging outside some residents’ rooms. At first glance they look like decorations, but if you look closely, they’re all different. Like a snowflake, each one is unique. That’s because each bio tells a story; a snapshot of a resident who now calls Providence Manor home. Developed by Providence Manor Family Council Connections, it’s known as the Resident Life Story project. People like Grace Cecile Teresa McGibbon. The eldest of 10 children, the 90-year-old has seen it all. Born in Scout Lake, Saskatchewan in 1929, she started teaching at 19-years-old. “I taught at a country school. 32 students, Grades 1 to 10, 13 subjects,” recalled McGibbon. But that’s just the start of her tale. At 20, she left home and moved to British Columbia to work as a telephone operator. From there she waited tables in Banff, Alberta, and even picked apples in Penticton. In 1952, she decided to follow her dream and join the Royal Canadian Navy. “I used to babysit Shirley Douglas, the daughter of Tommy Douglas. He was the Premier of Saskatchewan, he also started the New Democratic Party, but back then it was called the Cooperative Commonwealth Federation (CCF),” explained McGibbon. The next year, while posted in Victoria, she met the love of her life, Roy, a seaman in the Navy. The two were married in 1954 and started a family. Her husband rose through the ranks, and became a Lieutenant Commander. After leaving the west coast, the couple was posted in a number of communities across Ontario, including Kingston. McGibbon says along with her family, the military holds a special place in her heart. 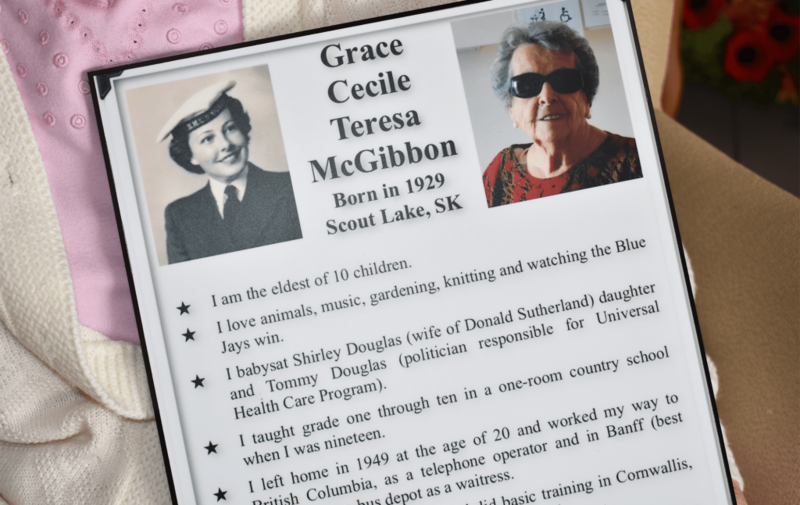 A close up of Grace Cecile Teresa McGibbon's Resident Life Story. Bowman says the Resident Life Story project shines a spotlight on residents and their contributions. They would eventually leave the limestone city, but came back in 2012, to be closer to their family. “We have four great kids and the kids picked wonderful partners, so we have seven grandchildren and six great grandchildren,” beamed McGibbon. Along with her family, the military holds a special place in McGibbon’s heart. The couple moved into Providence Manor two years ago and signed up for the Resident Life Story project. In fact, the information in this story is from McGibbon’s Resident Life Story. It’s also how other residents learned about the couple’s military background. Even though her husband was gone, McGibbon said she’s thankful for one thing that happened that day. His title was used, because of the Resident Life Story project. 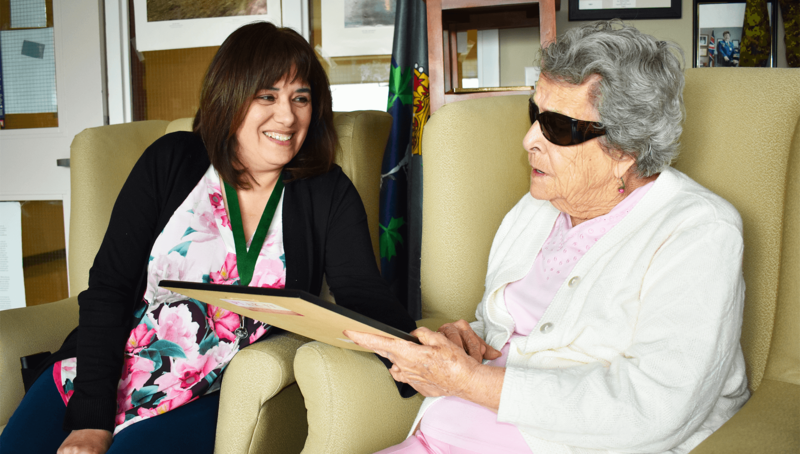 “When people register here, they register with their first and last name, not their job description,” explained Maria McGibbon, Grace’s daughter-in-law and volunteer with Providence Manor. And that’s one of the goals of the project. 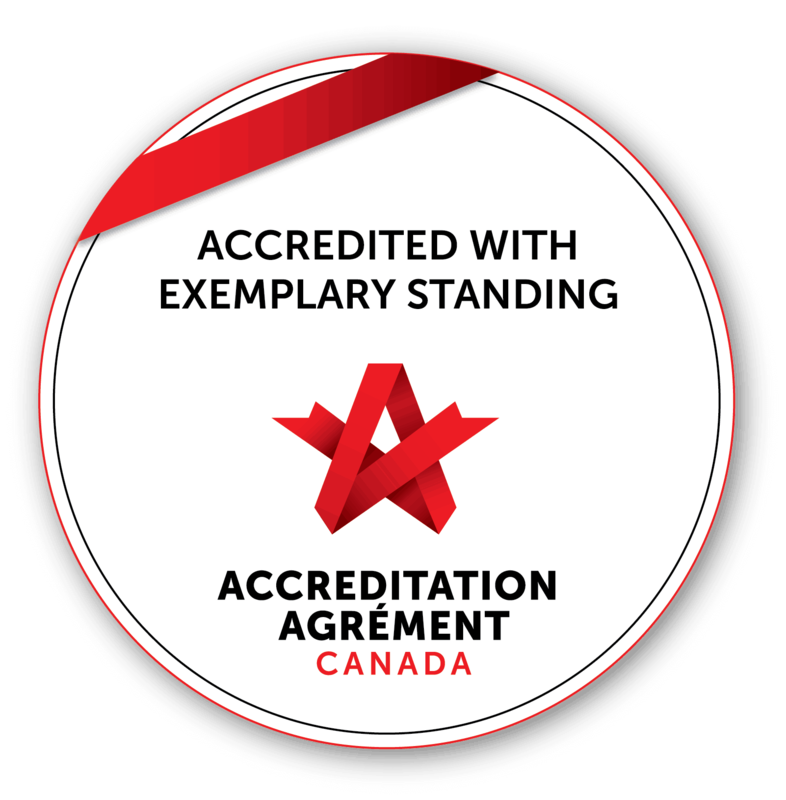 To show residents respect and dignity, and honour them for the contributions they’ve made. And while each one is different, all shine a spotlight and create a welcoming atmosphere at the home. It’s also a tool for staff and volunteers to get to know the residents better. “I think it changes care,” said Bowman. The hope is to have these bios line the halls of Providence Manor, because every resident has a story to tell. The Resident Life Story project is completely voluntarily and run by Providence Manor Family Council Connections. For more information on the project or to sign yourself or a loved one up, email familycc@providencecare.ca.